From April 24 to 28, the Inter Expo Center in Sofia will host Technomebel and World of Furniture, specializing in wood and furniture. Technomebel is a fair for all professionals in the field of furniture production and their respective production machinery. The exhibition is one of the most important regional business events, which includes five days of B2B meetings with experts, professional forums, demonstrations, and discussions. World of Furniture, on the other hand, shows all types of furniture and interior fabrics, interested in developing new ideas for interior design, interior and furniture architecture, favored by the presence of a meeting forum. The exhibition intends to combine different, classic and contemporary styles with the aim of creating a variety of opportunities that help the customer find the solution that best suits him and make a choice between the selections of major Bulgarian producers and representatives of Foreign brands. Technomebel and the World of Furniture are kept together, enabling end-users and consumers to see everything in one place: from machines and equipment to furniture, in addition to materials and accessories, to finished products. The last edition of both exhibitions was visited by 10,500 people from Bulgaria and 30 other countries. The exhibitions saw the participation of 174 companies that presented their products and services on a total exhibition area of ​​14,500 sq. M.
The Italian Chamber of Commerce in Bulgaria will see its participation with a selection of visitors interested in the fairs. TUTTOFOOD international B2B trade fair for food & beverage organized by Fiera Milano, will take place from 8 to 11 May 2017. TUTTOFOOD, year after year, has become a perfect stage to present their products to the domestic and international markets, to understand and learn about market trends. The results achieved are also the result of strong relationships with the major business associations (Assica, Unaprol, AIDEPI, Assobirra, Mineracqua, Unas, Unionalimentari) and our international network. It will be the only industry event in the Italian trade fair scene, with a truly international scope that will respond to the needs of companies who look mainly to the Italian market and to those who export tip. An effective showcase to test their innovative ideas and experiences by offering a modern and qualified professional expo, which allows to analyze market trends. 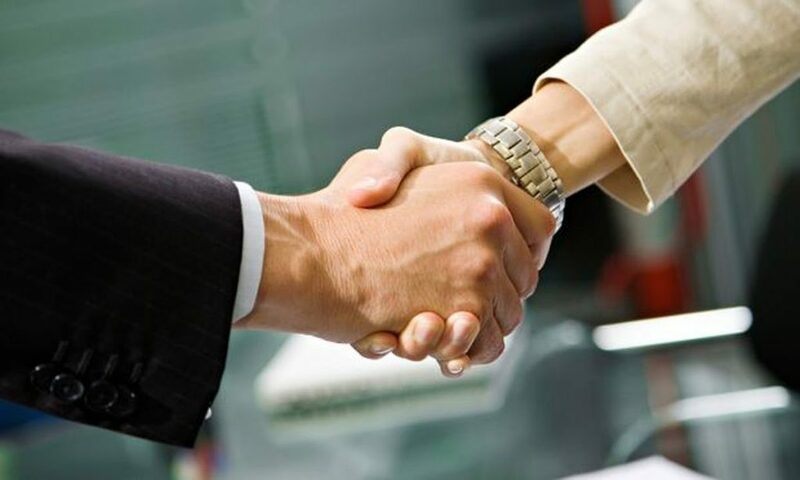 The Italian Chamber of Commerce in Bulgaria will organize exhibitors and delegations of buyers at the fair. Grasp the new trends to encourage the consumption of fruit and vegetables, this is the objective of the new edition of FRUIT & VEG INNOVATION, scheduled from 8 to 11 May 2017 at Fiera Milano, international meeting point between supply and demand of the entire sector. A new “concept” that evolves from conventional trade show in place of relationships and experiences in which the produce product is contaminated with the latest developments in the food & beverage. A context where the fresh produce is valued as an opportunity for education to “star” in tune well with new lifestyles, both in the domestic consumption in the outdoors. An event that can compete with the strongest global initiatives, attracting the big players in Italy – thanks to the contemporary with TUTTOFOOD, the international exhibition for the food & beverage – and showcasing the excellence of the fruit and vegetable system. The Italian Chamber of Commerce in Bulgaria will organize exhibitors within the fair hall. A dynamic , flowing journey through 10 satellites that define the shopping experience of tomorrow, providing for greater business opportunities with new chances for exhibitors and buyers to meet. HOMI is the business opportunity for the lifestyle sector. A new brand, a synthesis of style, business and excellence: in a word, HOMI. It’s an original concept for trade fairs with an international flare. Many home dimensions, only one journey leading to ideas and solutions: ALL AT HOMI, WHOSE NAME SAYS IT ALL. NAMING: HOMI, a simple name holding many sensations, the letter ‘O’ symbolically represents the circle that encloses the environment and the person, and the ‘MI’ at the end pays homage to Milan, a metropolis par excellence. This is the favourite destination of top players for offering a preview of innovations in technologies in food equipment,food products (ingredients, semi-prepared items), the world of coffee as well as in terms of formats, design and lifestyle. It is also a unique marketplace for doing quality international business with professionals who have been carefully selected and who have high-level purchasing power. During the years Interfood and Drink has become synonymous with successful business opportunities in Bulgarian food industry. Well known in Southeastern Europe, the exhibition has enjoyed growing interest on behalf of Bulgarian and foreign companies, business delegations, trade missions and collective foreign participations. Interfood and Drink is the preferred environment for sharing experience and innovative approaches in manufacturing processes. The exhibition is an advanced business platform for participation in conferences, contests, presentations, seminars, business meetings and more. Within the specialized “DIET & FITNESS” ZONE” for the seventh time there will be presented the advantages of traditional and new products for healthy eating and sports regime. The Italian Chamber of Commerce in Bulgaria will organize the Italian collective of Italian exhibitors. SICUREZZA 2017 is all about groundbreaking solutions, vertical proposals in every sphere of application, successful case histories and targeted training for industry professionals, in a fair that is far advanced in its ambitious plan to become a benchmark event in Europe, especially for professionals in the Mediterranean Basin and Eastern Europe. New synergies and increasing integration among adjacent technological sectors will all be in evidence at an increasingly international show that now, in its new time slot, is even more strategic. The next SICUREZZA trade show, to be held at Fiera Milano from 15 to 17 November 2017, promises to deliver even more innovations and opportunities for industry operators. At present, 160 direct exhibitors, about 50% of all the companies represented in 2015, have already confirmed their participation. Indeed, between confirmations and options, the show’s two traditional halls are now fully occupied. With such a wide and varied response, the planned expansion is well underway, with the event occupying Halls 3, 5 and 7. A project founded on innovation and integration, Smart Building Expo is the new trade fair of 2017 focusing on building automation, aiming to show how smart networking of new or restored building is a competitive advantage. Following an agreement between Pentastudio, an important marketing and communication agency very proactive in the promotion of new telecommunication technologies, and Fiera Milano, Smart Building Expo is co-located with SICUREZZA 2017 with the purpose of offering a complete and exhaustive scenario about “smart building”. A unique trade fair of this kind in Italy, Smart Building Expo aims to represent system evolution and digital services: from connectivity to integration with new electrical facilities, from entertainment to control systems that permit energy efficiency. Devised as a true marketplace, Smart Building Expo also represents an exclusive opportunity for professional updating thanks to its rich programme of workshops that, in addition to providing crucial information about the latest legislative changes in this sector, will also examine in depth the applications offered by digitalization. Artigiano in Fiera is the international industry event that’s been celebrating artisans and their creations for more than twenty years .The most important event in the world, transmitting the beauty and goodness of arts and trades. Book your booth now and participate in one of the world’s most important arts and crafts events. The largest global showcase for processing, packaging, converting and logistics. Meat-Tech is the real answer of Ipack Ima srl to the evolution of the meat industry and its development, as well as the result of the strategy and the consolidated experience of a major world player. Among the objectives of the exhibition, offering new perspectives and development to the meat industry, through a broader vision and synergy between the different productive sectors. Meat-Tech is the big not-to-be missed event by Ipack-Ima, to get in touch with innovative technological solutions and synergies between the different productive sectors and develop business strategies crucial to the future of new business. IPACK-IMA is organized by IPACK IMA SRL, a company owned by UCIMA (the Italian Packaging Machinery Manufacturers Association) and Fiera Milano, which key words are Technology innovation and internationality. IPACK-IMA 2018 is capable of capturing the interest of buyers worldwide: targeting both buyers and exhibitors, its massive promotional campaign is driven by the widespread, efficient network of Fiera Milano and its institutional contacts, active in 39 countries and partnership with the users associations of technologies in the main industrial markets. 667 visitors (from 131 Countries). It’s the most comprehensive exhibition of technologies and materials for processing and packaging in the food and non-food industry. It’s world leader in dry pasta manufacturing technology. It’s a key hub for influential buyers from all over the world: at IPACK-IMA exhibitors are sure to meet purchase decision-makers interested in the technology on display. It’s a one-stop-shop partner providing promotional support, visibility on global markets and significant return on investment. INNOVATION AND INTERNATIONAL REACH: IPACK-IMA’S STRENGTHS. It’s a landmark event because of its comprehensive, wide-ranging technology offer spanning across the entire supply chain of target markets, and because it offers a state-of-the-art overview of the industry. It’s an opportunity for professional training and update for all industry operators on issues including innovation, sustainability and future prospects. IPACK-IMA is staged in a premier exhibition complex located just 30 minutes from Milan’s city center. It’s the best place to meet, connect and be part of the industry’s development with exceptional innovation. It’s recognized and supported by major Italian institutions – the Ministry of Agricultural, Food and Forestry Policies, the Ministry of Economic Development – as well as global organizations – UNIDO (United Nations Industrial Development Organization) and WFP Italy (World Food Programme). Vinitaly wineries choose to enhance their identity. Wineries already working on the next edition of Vinitaly, from 9 to 12 April 2017 at VeronaFiere. Manufacturers, importers, distributors, restaurateurs, journalists and opinion-leaders from around the world will arrive in Verona to meet the market trends, discover the innovations and create new business opportunities. Four days of great events, exhibitions, tastings and workshops targeted meetings between exhibiting cellars and trade operators of the sector, together with a rich conference program that addresses and examines themes related to supply and demand in Italy, Europe and the rest of the world. The International Travel Exhibition, is a show with worldwide appeal that brings together those who work in the tourism industry from all over the world as well as a large number of visitors, travellers, and press. For more than 30 years, BIT has brought together decision makers, industry experts and carefully selected targeted buyers from various geographical areas and product sector. With more than 1.500 Hosted Buyers from Italy and abroad, more than 2.000 participating companies and more than 60.000 professional visitors expected, the 2017 edition will be one of the most innovative shows that BIT has ever organized, introducing important novelties. From Sunday 2nd April to Tuesday 4th April 2017, BIT will be a completely new experience, even from a logistical point of view. In fact, the new location of the event will be Fieramilanocity (the innovative exhibition centre in the city) and MiCo (one of the largest congress centres in Europe and the world). Along with the four main sectors – Leisure, Luxury, MICE and Destination Sport – there are to be three visitor itineraries dedicated to themed areas that are seeing great growth: A Bit of Taste (food and wine), Be Tech (digital) and I love wedding (dedicated to honeymoons). Rounding out the exhibition, there is also to be a wide range of meetings, which will be even more targeted next year thanks to detailed sessions that have been created to offer professionals a true overview of the “where, how and when” in terms of what will be hot in tomorrow’s tourism industry. The Italian Chamber of Commerce in Bulgaria organizes the participation of individual stands of Bulgarian exhibitors at the fair. Transpotec, scheduled in Verona from 22 to 25 February 2017, will be offering a 360-degree overview of the transport and logistic scene: heavy and commercial vehicles, interiors, trailers, transport services and aftermarket, but also components and the second-hand market. What’s more, there will be a whole range of meetings and conferences where trade professionals can get up to date, and test drives so that you can get a feel for what vehicles are like to drive, plus events and shows focusing on people whose work has become their passion. 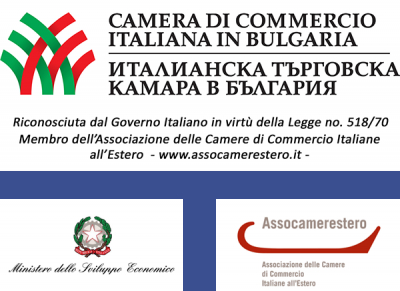 The Italian Chamber of Commerce in Bulgaria will organize exhibitors and buyers at the fair. During the fair days, the 15.000 sqm of exhibiting space have been animated by the 441 companies present with their products (+102 vs 2015 edition), by an overwhelming increase in certified visiting professionals (+40% vs 2015 edition) and by a generous number of meetings, seminars and successful round tables. Myplant is an independent exhibition supported by a consortium of companies in the field and it is managed by an autonomous organization. This is how it can meet the needs of companies and operators. This is how it can become a tool for their business, renewal and visibility, through new stimuli, channels, markets, ideas, contact opportunities, products, projects and international solutions. Since its debut, Myplant has become the great exhibiting hub for the sector, a “global space for business and relationships” for the protagonists of the green industry: companies and operators, with their expectations, needs, offers, previews and know-how. During the 3 days of exhibition, the fair is the heart of international floricultural and green business. The 8 sectors represented (nurseries, flowers, decoration, architecture, machinery, services, techniques, pots) show the liveliness of an industry that in Italy has a value of 3 billion euro, employs 150.000 people and is present with 50.000 companies. The liveliness of an industry that was looking for an adequate stage for its demands. The fair has hosted a lot of innovations: from soils to seeds, substrates and fertilizers, up to wireless technology, the new extra-draining asphalt and incubators for young plants. In the midst of all this there has been the exhibiting excellence in aromatic plants and succulents, cactuses and healing plants, orchard trees and fruits, potted plants, shrubs and bushes. There were numerous solutions for vegetable garden, garden, greenhouse, balcony and dehors – not to mention furniture, pots and accessories of all sorts, color, material and size. Turfs for urban and sports areas have found ample space, and there were also solutions for the vertical and domestic spaces, together with all sorts of equipment and tools for gardeners and greenskeepers: statues, sculptures, fountains and floorings. Let’s not forget the structures and systems for a protected plant growth, the phytosanitary products and the ample sections dedicated to the services department (from IT to etiquettes, going through logistics, printing, software and publishing houses). Last but not least, the exclusive area for flower compositions and flower decorations. This second edition of Myplant has been bigger, more complete and it has opened its doors to the world of landscape gardening also on an ample scale. It has been witness to stunning exhibiting and content results that have involved and put into contact professional associations, entrepreneurs, institutions, politicians, universities, research centers and organizations. They have been able to compare numbers, ideas, plans and new projects. The themes discussed have been biodiversity, sustainability, natural resources, floricultural and horticultural production, but also architecture, planning and restoration of the public and private green areas and landscape. Each satellite, in line with the image of HOMI offers services dedicated to exhibitors and visitors to create business moments, networking, conviviality and relaxation. A graphic communication, digital and multimedia guide the visitor through a fluid concept, designed for ideal shop and the worlds that revolve around the person.